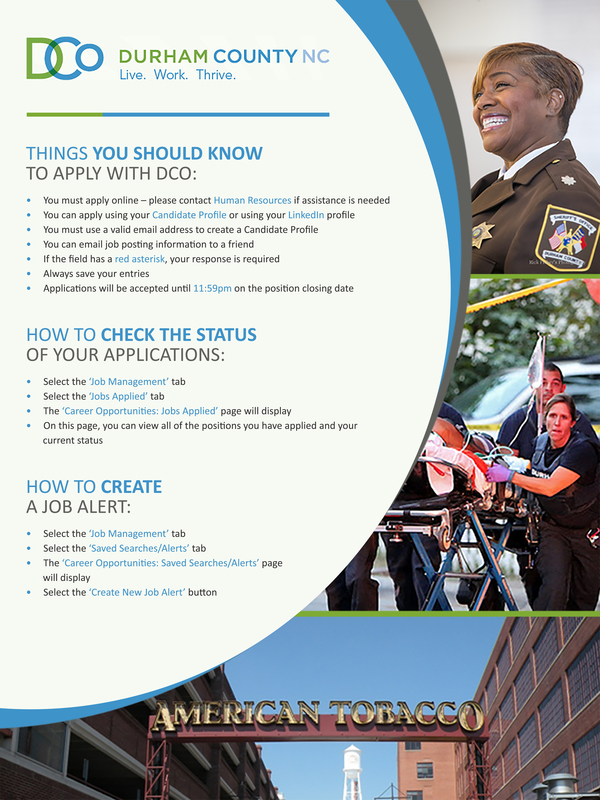 DURHAM COUNTY’S CAREERS SITE IS UPGRADING! The Durham County Careers site will not be available from Friday, the 12th of October through Sunday, the 14th. Please check back at noon on Monday, the 15th to experience our new and improved Careers site.